After a hiatus……drumroll please…..35-Mile Drive Presents Visit Goochland is back! We can’t think of a better way for a grand re-opening than to celebrate at the Manakin Farmer’s Market this Saturday, September 12th 9-1. 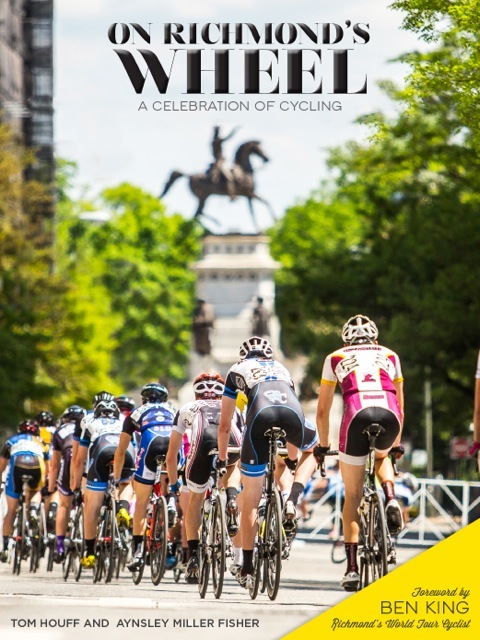 Join us for a special book signing of On Richmond’s Wheel by Aynsley Fisher and Tom Houff– our hot-off-the-press new book celebrating cycling in Richmond. The book shares Richmond’s extensive cycling history dating back to the late 1890s and the high wheels and brings us up to the eve of the greatest bike race in the world– the 2015 UCI Road World Championships. We share the inside scoop on how Richmond came to win the bid for host city, and how, once the dust settles and the 1,000+ cyclists and their teams from 70 countries, 500 international media and nearly half-a-million fans have returned to their corner of the globe, Richmond will continue to emerge as one of the country’s top bike-friendly towns. The book showcases stunning photography of iconic Richmond cycling scenes by noted photographers Jesse Peters, Chris Johnson and Wayne Dementi. We believe– not that we are biased, of course– that ORW is a must-read for cycling enthusiasts, history buffs, Richmond natives full of good old RVA pride, our hometown peeps and tourists looking for a timeless souvenir from their experience at the Worlds. BTW, our foreword writer, Virginia native Ben King, will ride for Team USA. Woo hoo! Stay tuned for more info or follow us on FB at 35-Mile Drive Presents Visit Goochland. Next postFarm to Table Dinner- Get Your Tickets!